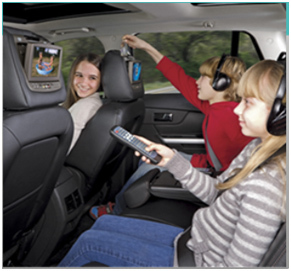 The HRD30702 7” Slim headrest system will transform any backseat into a traveling entertainment center featuring HDMI inputs which enables smartphones and other personal devices to be plugged in directly and conveniently to the system. 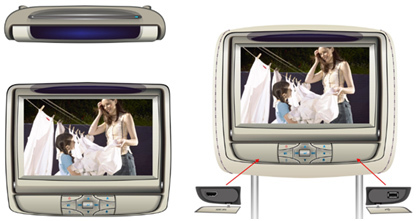 Content that is stored or being streamed LIVE to the device can be played with a quick and simple connection. This Hi-Def headrest system features an optional 54 2 bit game port, a USB reader, audio/video inputs and outputs as well as a built-in 100 channel FM modulator with FM transmitter functions and 4 channel Infrared wireless transmitter and much more.